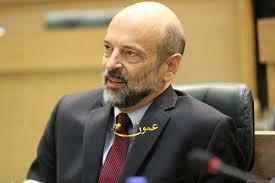 AMMONNEWS - Prime Minister, Omar Razzaz, Sunday urged ministries, governmental departments, institutions, and public bodies to emphasize Jordan's role in developing and enhancing human rights, and implementing the comprehensive national humans rights plan in consultation with the various stakeholders. In his circular on the 70th anniversary of the Human Rights Day, annually observed on December 10, Razzaz affirmed the importance of holding activities to celebrate this key occasion in coordination with the office of the Government Coordinator for Human Rights at the Prime Ministry. Marking the Human Rights Day comes in remembrance of the 1948 adoption of the Universal Declaration of Human Rights by the UN General Assembly, according to the UN’s website.